On May 25, 2018, per the General Data Protection Regulation (GDPR), organizations with business ties to the European Union will need to comply to GDPR standards. The cost of non-compliance are stiff fines. The GDPR contains nearly 100 separate and nuanced articles that can be difficult to understand even if you are a data privacy expert. *Financial Implications: The potential impact of a GDPR breach condition. *Key Focus Areas: A "new considerations checklist" for data privacy experts. It can also be used as a basic "bootstrapping checklist" for those less versed in data privacy. 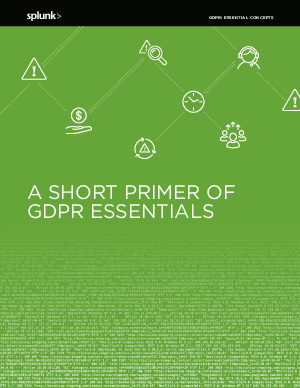 *People, Process, Tools: Tips to help reduce anxiety and uncertainty about how to operationalize GDPR.